From the top menu, select Windows > Perspective. From any of the other views, click the Add View button and select Perspective. The View menu contains all the tools and options that you can use to work in the Perspective view. X Control The red circle rotates the view on its X axis. Y Control The green circle rotates the view on its Y axis. Z Control The blue circle rotates the view on its Z axis. Grid This is a perspective (3D) grid reference. 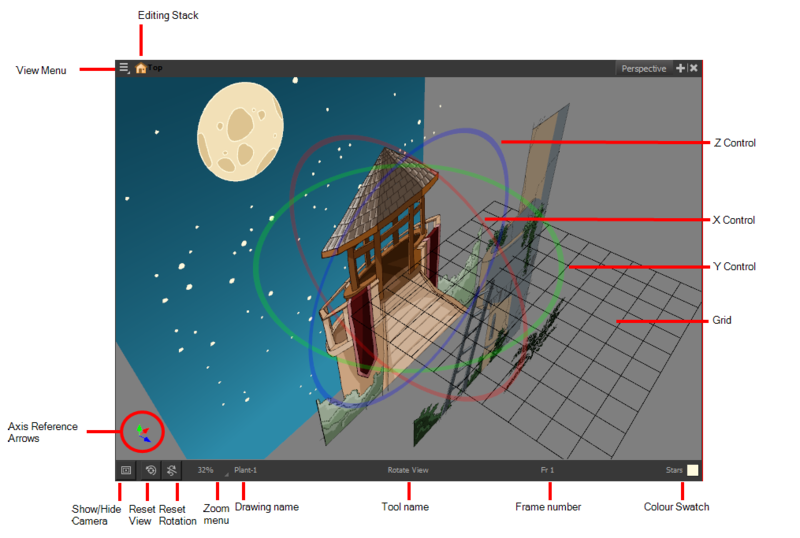 Reset Rotation Resets the rotation of the Perspective view.